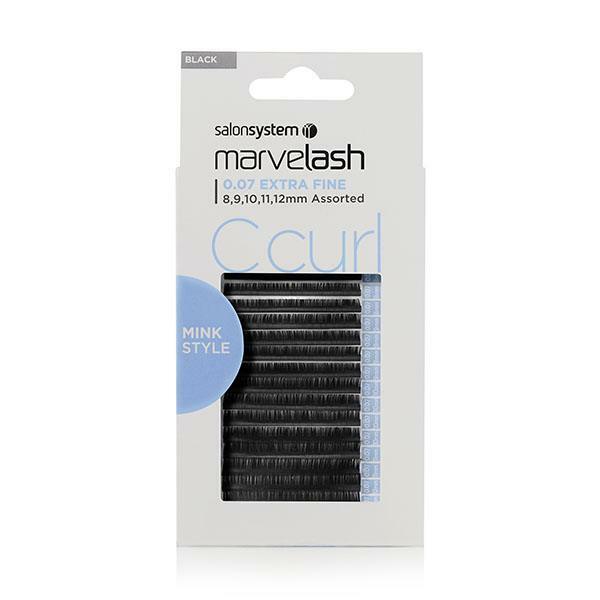 Mink style, lightweight lashes with a gorgeous C-Curl perfect for Russian Volume Layering and Feathering techniques. 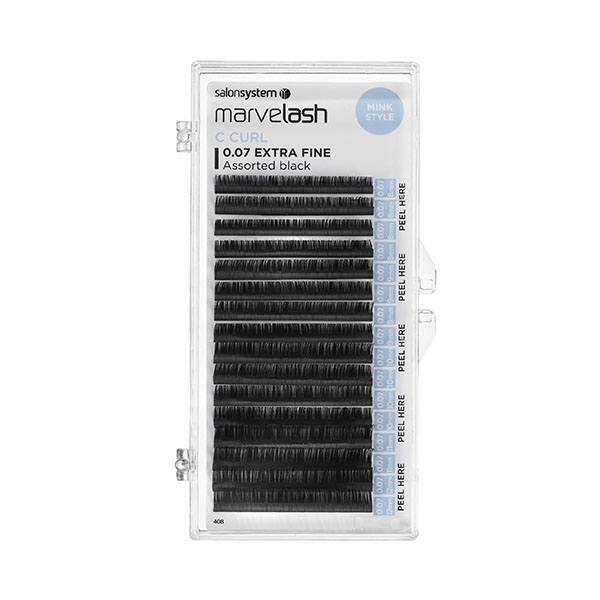 Assorted lengths - 8,9,10,11,12mm. C Curl, 0.07 thickness. Black, synthetic hair.